Simply submit a detailed quote, and we guarantee that, dollar for dollar, we'll beat it. 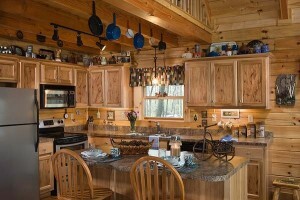 Honest Abe will meet or beat the price of any competitor’s comparable log home, log cabin or timber frame home package. That’s a promise. Simply submit a detailed item-for-item quote from another company. If we find it to be lower than our package, we’ll meet it. How can we offer such a guarantee? Because Honest Abe’s time-tested procedures have proven to be the best possible solution for new log home buyers. Our expert design engineers create dynamic, yet efficient, floor plans. Our state-of-the-artmanufacturing process produces high-qualitypackages with less waste. Plus, everyone on our experienced staff is readily available to assist you, each step of the way. Dollar for dollar, you can’t find a better deal – guaranteed.